This is not, technically, a review. 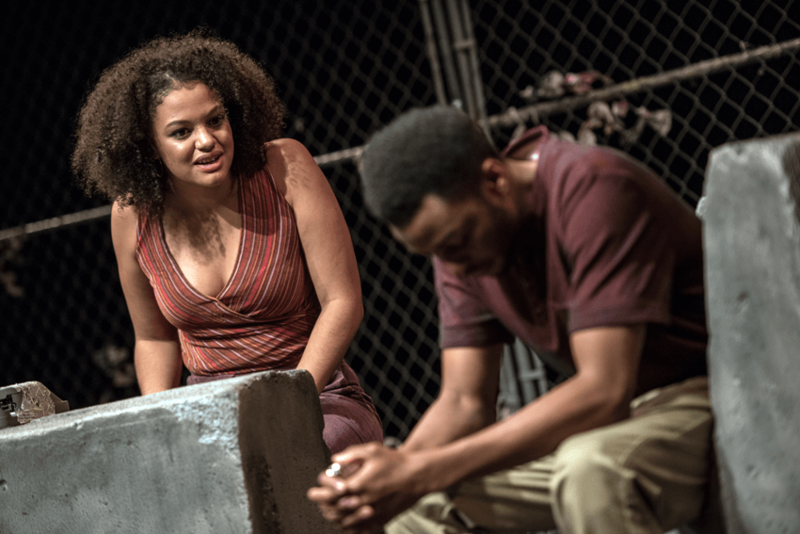 It can’t be a review, because I saw “Other Side of the Game,” by Amanda Parris, in previews. It would not be ethical for me to write a review based on that experience. I am reminding us of this straight away, because “Other Side of the Game” is an unbelievably good piece of theatre. The play is about a group of Black women and men in west-end Toronto. Parris’s goal is to raise up the invisible histories of the women in particular, to put their activism and their daily struggles, their labour for family and community and the toll that labour takes on them, at centre stage. It is set the 1970s, and also now. 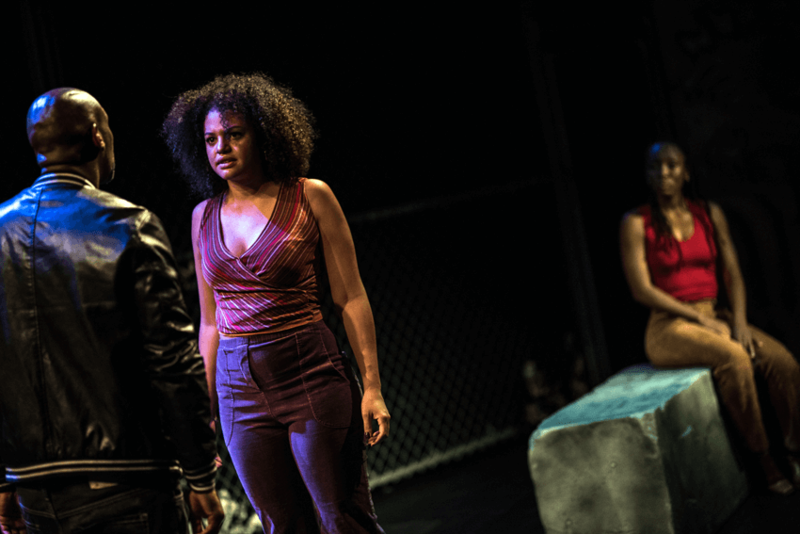 The characters are struggling against police profiling, harassment, and violence; struggling to stay out of jail; struggling toward organized activism; struggling to craft their own identities under the weight of a systemic racism that, the play reveals, has changed barely at all in the 30+ years intervening between its two narratives. It is gorgeously written, capturing the sounds of Black west-end Toronto as spoken to Parris in 13 interviews, and channeled through her gifts as a musical curator with a remarkable ear (Parris hosts the brilliant Marvin’s Room on CBC Radio). It is beautifully directed by Nigel Shawn Williams and performed by five bang-on-game actors with strength and humour and physical skill in spades. I was riveted, overjoyed, moved. I sprang to my feet during the curtain call. But just to be clear: this is not a review. Because while reviews are very useful, they are never, ever the whole story. They can’t be. They are formulaic: they tell us about the plot, maybe a bit of history; they tell us whether or not the directing was clear, whether or not the acting was good. That’s it. But who decides? Who is to say what is “clear” directing, or “good” acting? Or a “good” play? The first goal of a theatre review is to help audience members decide where they should spend precious entertainment dollars. Reviews are necessarily short, often written quickly. They represent one perspective, but present it as the universal, for the sake of time and ease. Reviews generally do not, cannot, make the space to unpack the “meta” of reviewing practice: the question of how we come to venerate and value some work highly, and other work not. Is it about craft, skill, virtuosity? How talented the performers are? How intensely we are drawn into a story? Or is it also about something more? Peter Bailey, Shakura Dickson, Virgilia Griffith. “Other Side of the Game” got me thinking about these issues, because it is going to earn a bunch of rave reviews. As it absolutely should do. But not just because it is an unbelievably good play. Because it is an unbelievably good play about a group of people in our community whose cultural practices are very rarely recognized as “good” by dominant culture standards. 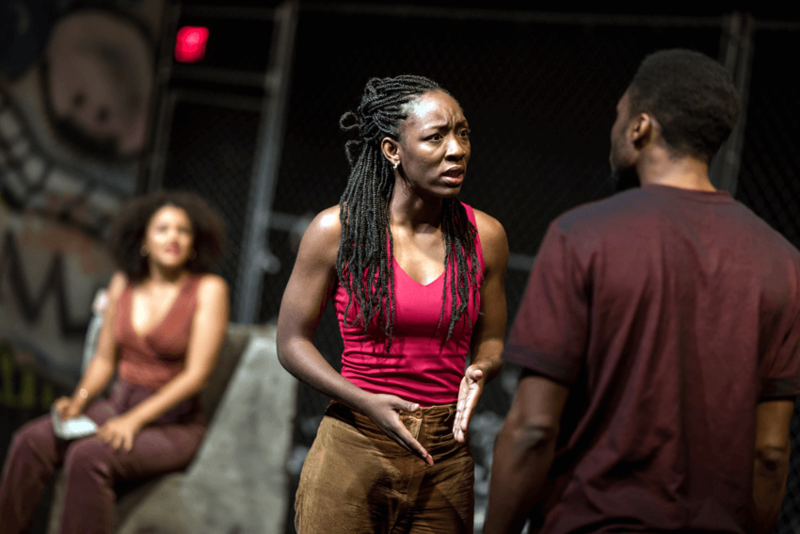 The play’s craft, skill, and elegance, married to the brutality of its political messaging about the realities of Black lives in Toronto, throws this contradiction into stark relief. It asks us to think about who gets the privilege to judge, and why. Shakura Dickson, Virgilia Griffith, Ryan Rosery. 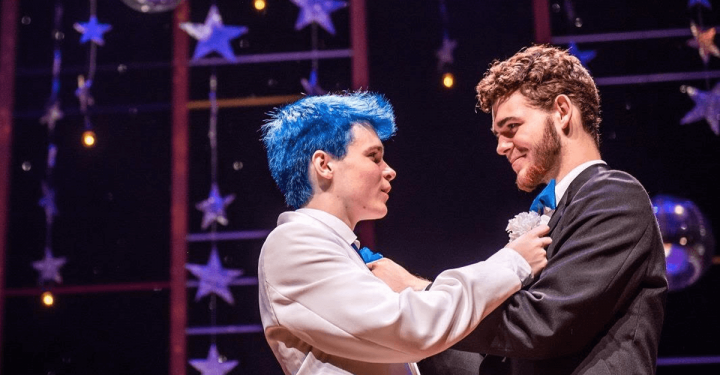 The crisp direction and performances aside, dramaturgically this play is a perfect gem. 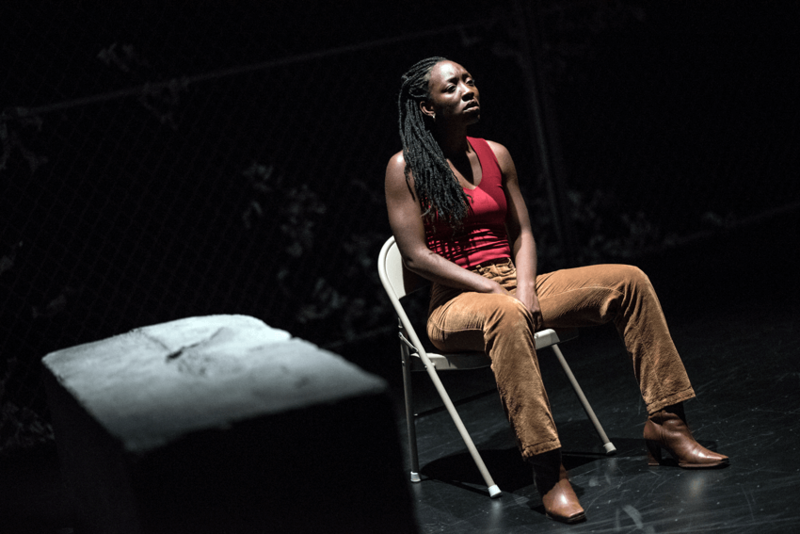 Parris opens each act in a prison waiting room, with the “No Exit” sense of endlessness that space instills. It isn’t immediately apparent, though, if the performers in this scene are friends and loved ones and acquaintances, or if they are incarcerated themselves; the anguish of their patience fraying before our eyes could reflect either, and this is a conceit the play sets before us deliberately. In “Other Side,” anyone can be “good”, or “bad”; anyone can be (and is) sent to jail, or set free. Choices are made in impossible circumstances. The people with the power – the cash, the guns, the handcuffs – usually decide the outcome. Their authority is terrifying, unmissable – and arbitrary. The action unfolds across two storylines. One follows a group of young Black activists, men and women, in 1970s Toronto, before and after a march they have organized against police violence is broken up, violently, by police. 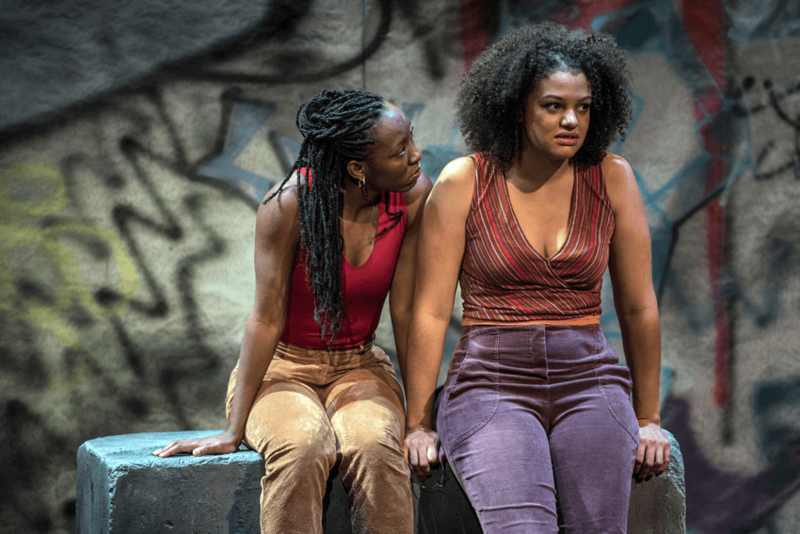 The other follows two Black women in the contemporary city as they try to figure out how to stop depending on the men who always betray them and start depending on each other. In each storyline are very hard-working single mothers; young women still searching for their place, awkwardly and imperfectly; young men doing the same; and older men who enjoy, and exploit, their cultural power within their community a little bit too easily, at the expense of the younger women around them. 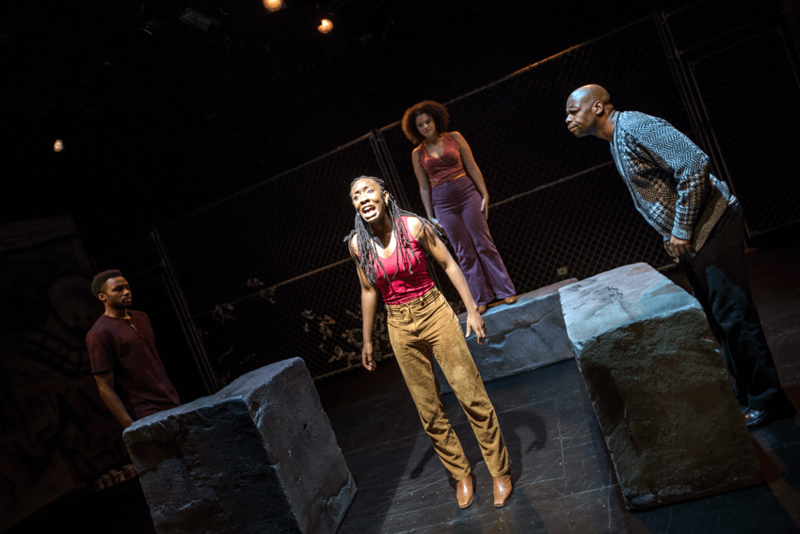 At the end of the play, these disparate Black feminist stories come into contact through an inspired piece of choreography that is at once politically powerful and extraordinarily satisfying. As a White, middle class audience member, a feminist and an ally, I came away from the performance I attended with the sense that “Other Side of the Game” is addressed to a Black community first; that it forms part of a conversation ongoing in that community and urgent in that community. It is filled with vocal intonations and terms and references that I did not understand, and that I knew myself to be, to some extent purposefully, excluded from. I did not mind this exclusion, though. I was so inside the story, so drawn in by the seamlessness of Parris’s narrative weaving, the deftness of her transitions and the elegance of the production’s realism, that I wanted to work for the play, to go forward with it, to hear better, listen better, learn more next time. Arguably I had what was an ideal audience member’s reaction. I saw the value of the play as a piece of art, and then also as a political force, a pedagogical force. I recognized that the play was not entirely for me – that I was being asked to engage despite not being catered to at every moment. And engage I did. 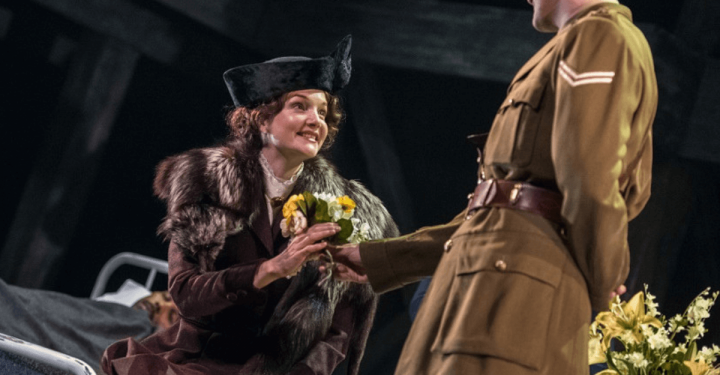 Still, I was surprised by how strongly I felt seduced by the play’s craft. I was surprised at how important it was to me to talk about craft, rather than about politics, as I surveyed my reaction in the hours afterwards. Why does this matter? Parris and Williams have created a superb piece of theatre, full stop. I enjoyed it; it connected with me. 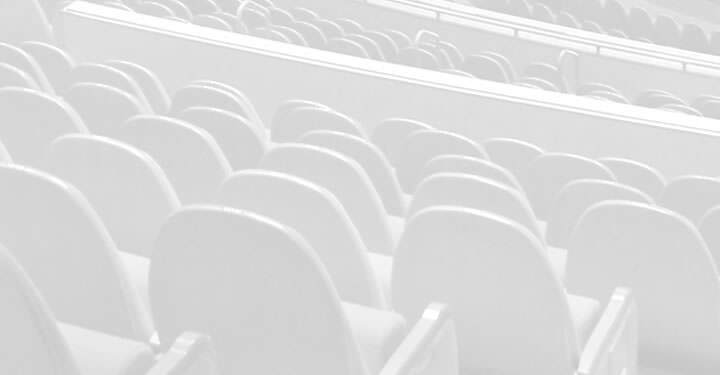 In the Anglo-European tradition of theatre reviewing – the one we follow here in Canada – many pieces like “Other Side of the Game” garner high praise not for their politics, but for their narratology, for their virtuosity, for the ways they uphold (in fact, outshine) accepted standards of “good” theatre making. For the way we enjoy first, and connect after that. These standards – in Canada, the US, Britain, and many places elsewhere – are White standards. They are not always deployed by White spectators, of course. But they originate in a tradition that favours Whiteness and European-ness – and rarely marks them. These standards tend to favour realism over politics-first “alienation”. They appreciate narrative arc, threads woven seamlessly together. They appreciate a play like “Other Side of the Game” first and foremost for what it tells them about themselves. For the way it values, celebrates, the things they value. I want to be very clear here. The issue I am worrying is not Parris’s issue, or Williams’s issue, or their fine actors’ and designers’ issues. Their work is done, and done damn well. Rather, the issue I am worrying is proper to reviewers and consumers who come from a dominant culture position like I do, and who are (maybe unwitting, but still) upholders of artistic standards the roots of which we too often take for granted as neutral. In the elegance of its craft “Other Side” will earn praise, because that elegance is also how it makes a space for viewers not familiar with its politics or history to gain entry. It extends those viewers that generosity so that they might extend to it in turn the generosity of their fulsome engagement with the very painful, very real experiences of violence and injustice against Black lives in Toronto that it lifts up to our view. So that viewers outside the Black community in Toronto might see and hear a collection of experiences outside themselves, perhaps for the first time. 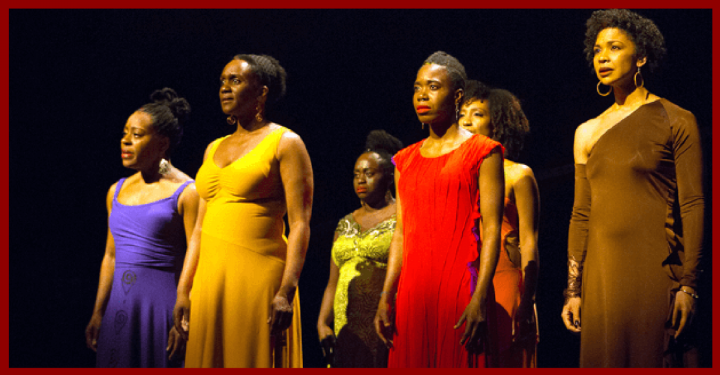 But that engagement cannot fully take place if we do not recognize, from the beginning, that the standards we apply to this work as we praise it – even as we, very rightly, praise it – are standards that have been designed for the benefit of dominant culture gate keepers, political power brokers – not Black men and women in Toronto’s west-end communities. These are the same standards that are blatantly rigged against Parris’s characters. Against the people in her prison waiting room. Against anyone in Toronto who has ever been carded. “Other Side of the Game” is outstanding theatre, by every standard I can imagine. But when we talk about it, we cannot stop there. Because standards of “good” art are never not political. And this unbelievably good, powerfully political play requires much more from our witness than our praise. It requires our careful self-reflection. Kim Solga is an Associate Professor in the Faculty of Arts and Humanities at Western University, where she teaches on the Theatre Studies major and minor program. Her most recent book is Theatre& Feminism (Palgrave, 2015). 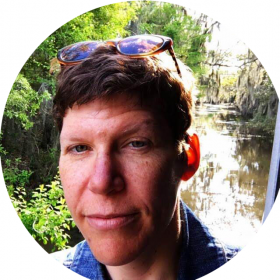 She writes about teaching, performance, and activism at The Activist Classroom.